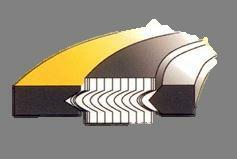 The SWG TR/TAC/TAI/TACI they are composed of a sealing element which combines a metal strip and a strip of softer material (FM, PTFE, Graphite, Mica, etc. ), wrapping both strips in concentric spirals with a DC voltage. The main property of the spiral wound gaskets, due to the elastic action of the compound by the metal strip profile, It is that it offers a perfect seal under fluctuating pressure and temperature conditions, responding in turn to significant temperature rises to values maintain perfectly its position due to its elastic recovery. The spiral wound gaskets we manufacture based on the standard ASME B16.20 and also according to the technical draw, in different materials such as: AISI 304, 316L, 321, 347, INCOLOY 800, INCONEL 600, MONEL 400, etc. Valves, pumps, caps, male-female or flat face flanges. The inner and outer ring is reinforced with several soft materials without filler metal layers to provide optimum stability and better compression and sealing. 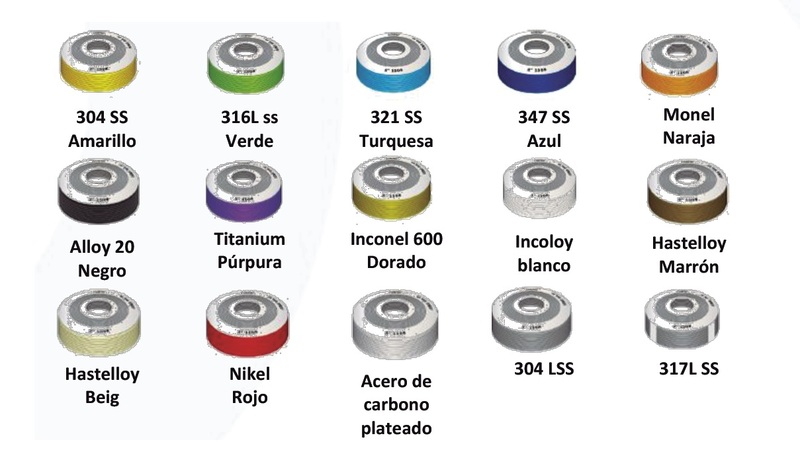 Spiral wound suitable for male-female flanges, annular or flat lace. and also acts as a compression limiter. 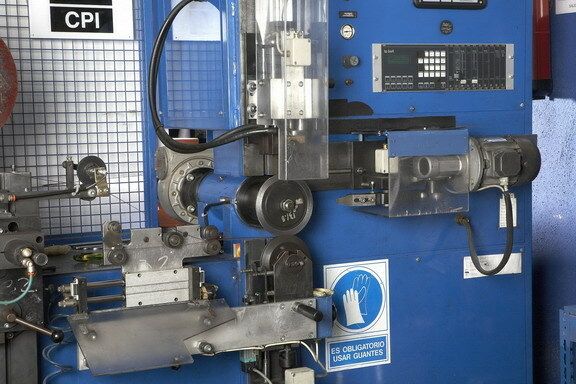 Above the 600 class is recommended to add an inner ring in the spiral wound gasket. High pressure flanges male-female large. A solid inner ring acts as a compression limiter and fills the annular space between the edge of the flange and the inside of the joint. This meeting is designed to prevent accumulation of solids, reduce turbulence typical of fluids and minimize erosion of the flanges. Spiral wound suitable for male-female pipes. High pressure and temperature, corrosive and toxic media. 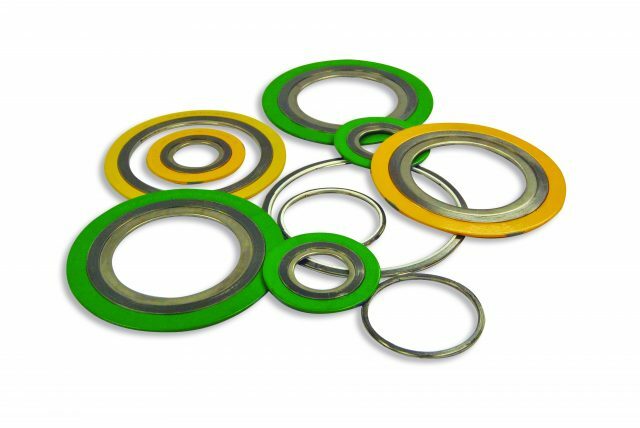 It is a gasket having an inner ring to provide additional compression limit and also performs the barrier function of heat and corrosion. Prevents erosion of the flanges. Spiral wound gasket suitable for flat and embossed face, especially suitable for high temperatures and pressures, 9001b class and upper class or when it needs to be in contact with corrosive and toxic substances.